CHEERS and warm welcome greeted the newly tilted Miss Millennial 2018 first runner up Danna Rose Socaoco as she faced the people of Misamis Oriental on Monday, November 5. The beauty queen from the municipality of Magsaysay on Monday morning attended the flag raising ceremony wherein she was recognized by Misamis Oriental Governor Yevgeny Emano. She was, then, feted to a motorcade around Cagayan de Oro City. 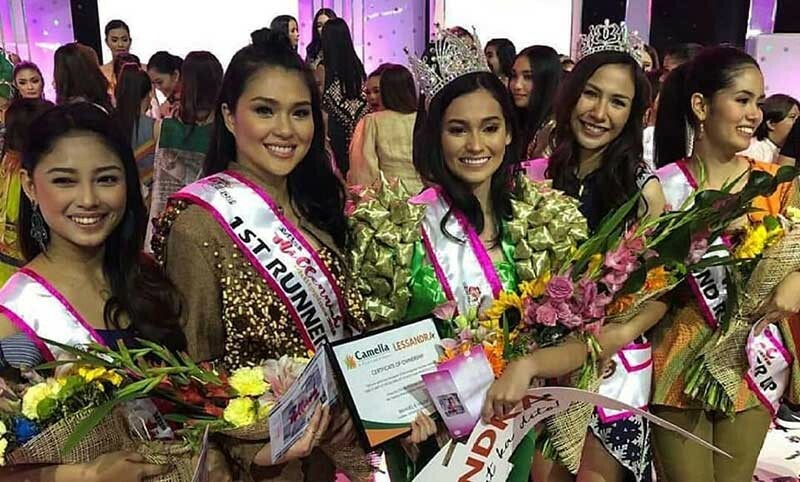 Socaoco won as the first runner up in the Miss Millennial Philippines 2018 pageant held in GMA's Eat Bulaga last Saturday, October 27. She also won the Miss Philippines Airlines Award. Miss Millennial Philippines is a pageant wherein the candidates have to forgo the use of high heels, tiaras and fancy, elegant dresses and instead focus on promoting the tourism aspect of their province. Provincial Governor Bambie Emano was delighted as his tourism program was promoted through Socaoco. “When I first met Danna during the Miss Kuyamis Festival and when she worked with us in the Provincial Capitol, she's very meek, she's very humble. And I hope that when she becomes very popular already, she will still remain humble, and not forget our province and our island. She's mature enough to make her own decisions in life. We will always pray that she will be guided on the road, on the path that she will be taking,” Emano said. “Let us assure her that as an artist, it’s not gonna be a walk in the clouds, there will be challenges. And let us assure her that whatever happens in the future, may it be good or bad, Misamis Oriental is at your back and Misamis Oriental will always be your home,” he added. Socaoco, for her part, was thankful and happy, although she's still eager to do more to promote the tourism industry of Misamis Oriental. “As a millennial, [I am] social media savvy, always mi sa social media. Though na first runner up ta sa Miss Millennial, daghan na ang nakaila, pero for me, its still not enough. Gusto ko pa more nga mas maila pa ang Misamis Oriental,” Socaoco said during the press conference on Monday. “Gamiton nako ang social media like mag post og something about sa Misamis Oriental, kung unsay naa pa sa Misamis Oriental nga wala nako na mention sa Eat Bulaga... I will really use my social media na ma reach ang mga tao para pakita gyud dili lang sa Pilipinas, kundi sa buong mundo kay every time mag live ko [sa Facebook], naa gyu'y mga viewers from other country,” she added. Asked what her question was during the Q and A part of the pageant, Socaoco said that it was about what she would like to have as a grand prize instead of money if she ever wins the lottery. “Kasi naisip ko kung mas maraming turistang pupunta rito, kung kilala yung Misamis Oriental, mas maraming pupunta dito, mas marami akong matutulang Misamisnon kasi mas maraming business, yung mga tao na parang nagdadalawang isip mag business dahil wala naman masyadong pumupunta. So kung maraming pupunta rito, mas malaki yung grand price na matatanggap ko kasi mismong buong tao sa Misamis Oriental matutulungan ko. So yun yung naging answer ko,” Socaoco added. 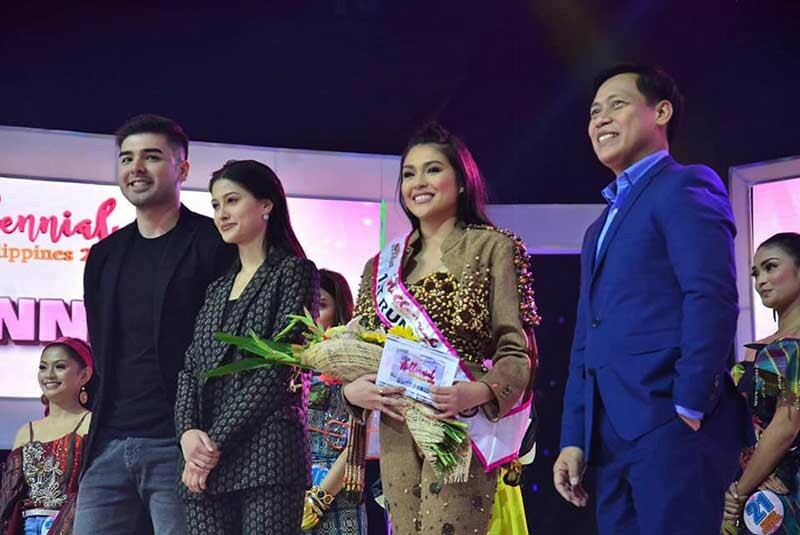 After winning first runner up in the said pageant, Socaoco, at present, is determined to prove herself and show her skills to the producers and staff of Eat Bulaga after she learned that she got a chance to sign a contract with GMA's noontime variety show. She said that if she gets the chance to become a part of the Eat Bulaga family, she can help more in promoting the province in terms of tourism. “Kay kung everyday ko nga naa sa Eat Bulaga, so everyday nako mapakita kung asa ko gikan, unsa naa sa Misamis Oriental. Unta na matagaan mi og contract sa Eat Bulaga para ma continue gyapon nako ang pag showcase sa Misamis Oriental,” Socaoco said. Lawyer Jeffrey Saclot, head of the provincial tourism department, for his part, said that there are still more that Misamis Oriental can offer not just in the country but also to the rest of the world. 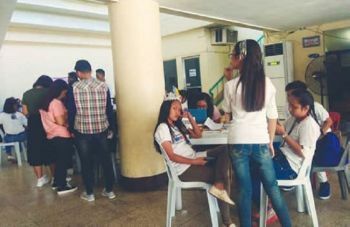 “In fact, we are now initially preparing for the third year of Miss Kuyamis pageant and we are expecting equally beautiful and talented ladies from Misamis Oriental to join and participate in the Miss Kuyamis 2019 pageant,” Saclot said. Socaoco, following the press conference, went on a school tour in the west side of Misamis Oriental and on Tuesday, October 6, she guested at Lambo MisOr radio program of DXRU Radio Ultra in the morning which was followed by another school tour in the east of the province.